After years of supplying Foam Rollers we have found the most reliable and superior rollers from a great source with consistent quality. We’ve tested loads of versions to discover the perfect roller and are confident you’ll be impressed with our choice. Plus, the Physique Massage Roller, Physique Pro Foam Roller and Foam Roller are available on our great value 4 for 3 Mix & Match offer. Foam rollers have grown in popularity over the last 10 years, developing from a tool only used by exercise professionals to one found in every gym and many households. So What Does A Foam Roller Do? As like all walks of life, prevention is better than cure. Using a foam roller regularly, whether injured or not, may help to give your muscles normal function, meaning your muscles are elastic, healthy and ready to perform. The process of rolling on a foam roller will apply pressure to specific points on your body and aid in the recovery of muscles. So if you have tight hamstrings, sore calf muscles, aching arms or another over-worked part of your body, a bit of foam rolling could work wonders. Foam rollers are also great if you have ‘Trigger Points’ (specific knots that form in muscles). The practice of foam rolling can assist in breaking up these muscle knots, resuming normal blood flow and function. Foam Rolling exercises are very simple. You start by placing your body on the Foam Roller and slowly roll up and down the muscle indicated. The trick is all in the technique. 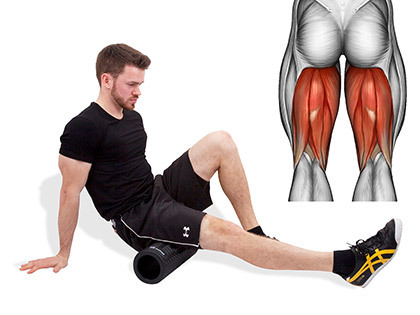 Executing the correct foam roller exercise is vital for you to achieve best results. Positioning your body and stretching certain areas being treated will help to enhance the effectiveness of your routine. We can’t stress enough the importance of technique. Using a foam roller correctly when treating your body is vital to not only improve the condition of your muscles but also to prevent damage. If in doubt refer to guides or your practitioner. What Can I Use A Foam Roller For? 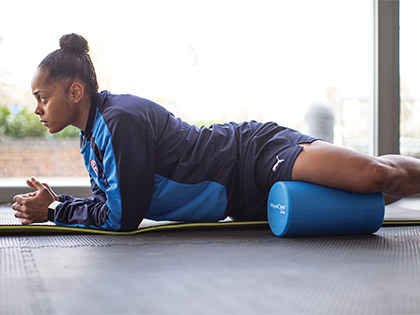 Foam Rollers are an essential piece of kit for any sports player or fitness and activity enthusiast. Nobody likes getting injured and we all want to give 100% when we participate. Unfortunately, our bodies can suffer when we push it too far. Looking after your muscles will help you prevent injury and improve performance. Using a foam roller regularly may help to keep your muscles in top condition. The entire body can be treated, so whatever area you are looking to improve or manage an injury, a Foam Roller can help. Does A Foam Roller Help Improve Performance? Using a Foam Roller as a tool to stretch before activity will help to warm up cold muscles and prepare them for deeper and more aggressive movements. You can also use a foam roller after activity to help your muscles relax and repair… The crucial part many of us often forget! 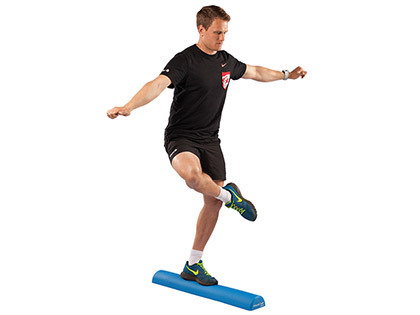 Foam Rollers are also excellent for balance and proprioception training. 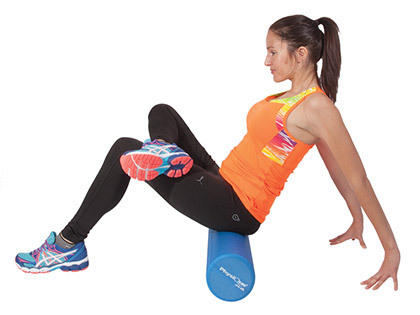 Our Pro Foam Rollers are designed to withstand balance exercises and will not lose shape. You can improve the strength of your ankles, knees and core muscles with both a full round and half-round roller. Why Are Foam Rollers Different Shapes and Sizes? 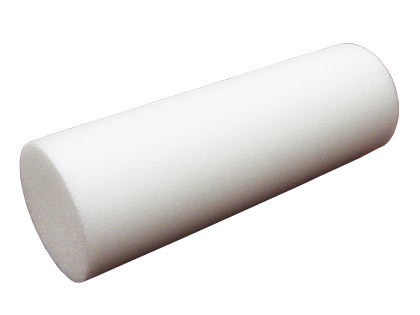 Traditionally foam rollers are cylinder shaped, full round and approximately 90cm in length. Over the years improvements in technology and design have allowed foam rollers to develop into more complex shapes enabling the user to target the specific muscle group they are looking to treat. The width is the main variation you will notice. Everyone is a different size and shape, therefore the choice is beneficial so you can get the most from your roller. Also, the width will adjust the intensity of how deep the muscles are worked, however, the technique is the best way to vary this yourself. The narrower rollers are not so intense but are great for getting to smaller muscles groups that can be tricky with a wider roller. Foam rollers are available in a number of lengths, mainly 30cm, 45cm and 90cm. The 30cm and 45cm rollers are great for working legs, arms, shoulders and part of the back. A 90cm roller will enable you to work the entire body. Another fairly recent addition is the change to surfaces of foam rollers. Featuring ribs, flat blocks, triangular shapes and many more, each new surface is designed to give the user an experience as if they were receiving a massage. Ribs feel like fingers, flat blocks can feel like palms and the more pointy shapes feel like fingertips, intended to get right into the muscle and give the user the ultimate foam rolling treatment. It all depends on the area being treated and how often you intend to use the roller. For those of you that practice your activity several times a week would hugely benefit from a roller that will give you a deep self-massage. The rollers that feature a ‘hollow core’ are constructed with a rigid tube that is covered with a high-density foam, giving them the strength to give the deepest treatment. 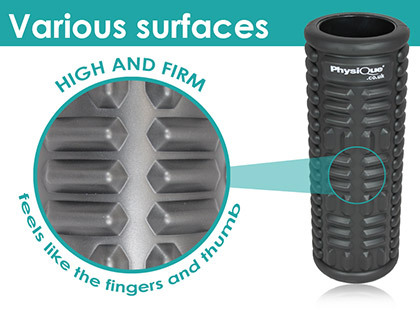 Featuring innovative surfaces these rollers allow for targeted massage and mimic the feel of a hand. 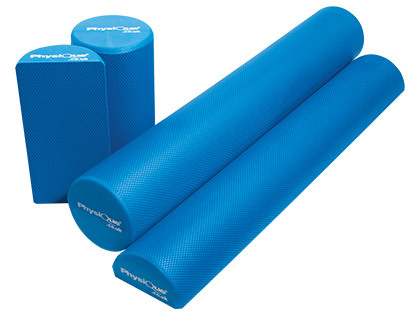 These should only be used for self-massage foam rolling techniques, not balance or proprioception training. There are several types available, with the main difference being the size. Our smallest ‘hollow core’ roller starts at just 6.5cm wide and 16cm long. They go all the way up to 15cm wide and 61cm long, so you can find the perfect size for you. The more traditional Foam rollers are available in a variety of foam densities. 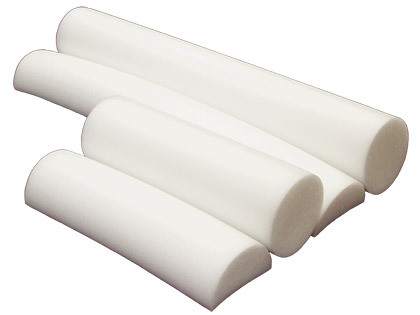 These rollers are one solid piece of foam, and are available in full round or half round and various lengths. The Blue Rollers are higher density and will not lose their shape when used for self-massage or balance training. Featuring a hollow core and targeted massage surface this roller is a great lower price option compared to leading brand rollers. Great for the more serious and regular participants the various surfaces provide an effective massage sensation. Compact design to carry around at 15cm wide and 38cm long, but also large enough to treat all areas of the body. Probably the leading brand in the stronger Foam Roller category and you'll pay a slight premium for this. However, the incredible strength is worth the investment if you're using it most days, being weight tested to support up to 225kg (500lbs). Again with a hollow core, The Grid Roller is firmer than traditional rollers. Featuring a three-dimensional surface with a variety of widths to replicate the feeling of massage. A tiny foam roller with a lot of punch. Great for targeting trigger points and giving a really deep self-massage. 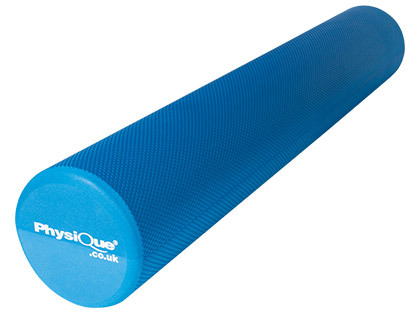 Extremely strong with a metal centre tube this roller is a fantastic addition to your foam roller collection. Ideal for smaller muscle groups and the perfect size to carry in your gym bag. 6.5cm wide by 16cm long. Made from high-density foam the Pro Foam Roller will not lose shape or turn ‘lumpy’. Great for self-massage treatment of the entire body with a textured non-slip surface for use anywhere. 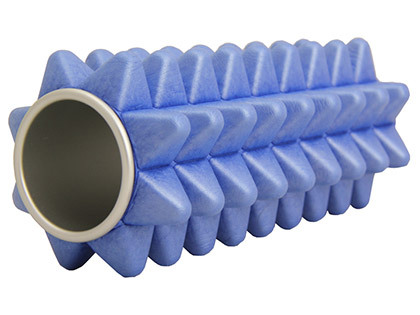 The strength of this roller means you can use it for both myofascial release and balance training with great results. Half round rollers are excellent for rolling and stretching calf muscles as well as balance training. Available full round or half round in 90cm or 30cm long. 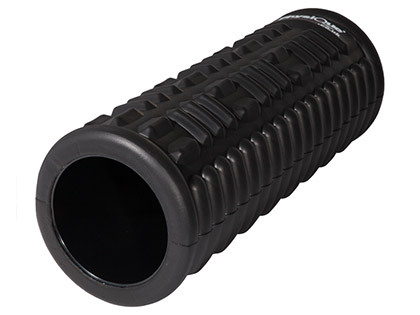 The original and our most popular choice of foam roller. A fantastic low-cost option for less frequent users as it may lose shape over time. Great for use on arms and legs to give myofascial release. 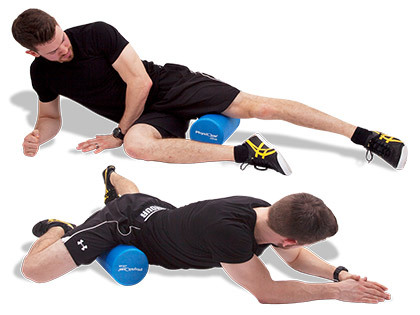 The half round rollers are ideal for beginners to foam rolling techniques. Also available full round or half round in 90cm or 45cm long. Neat compact roller with a unique design for targeted self-massage. Great for effective treatment around the spine, upper arms, deltoid, pectoralis and calf muscles. Extremely firm and deceptively lightweight, this little number is available in 8cm and 12cm to fit in your kit bag. Available in 8 cm and 12 cm these are ideal for targeted self-massages on different areas on your body. 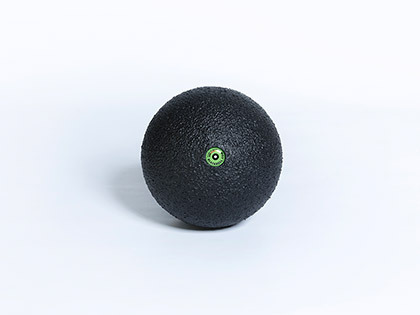 Depending on the effect you want to achieve, you can use the 8 cm BALL for a highly directed massage and the 12 cm ball for a massage that covers a larger area with less pressure. You'll find hundreds of really useful tutorial videos online, we also sell a collection of the best books we’ve found available on Foam Rolling techniques for the ultimate guides. Still unsure? Then please contact us by email or call our team on 02392 471346 and we will do our best to help. Only started using the roller but it has helped my tight muscles already. Feels well made & the full length I can fit my whole body on it, without falling off one side. Half roller is great for Pilates. Had one from a different make and it was too hard and dense. Economical but robust product. A good way to challenge clients without having to spend a fortune. I use in a class and private setting and they do the job. Economical but robust product. A good way to challenge clients without having to spend a fortune. I use in a class and private setting and they do the job. The half roller is great for clients who are not quite ready for the full roller, but is also handy in its own right. I cut it in half to make 2, easy with a bread knife. Light weight and great for demos with clients. Good value for money. I love this product and so do my patients. Textured surface does not slip on shiny floors! Great to use for balance, posture and core stability exercises. The kids love the challenge of progressing their balance activities from the flat side down to the curved side down. Patients frequently go and buy one as the 30cm is light and easy to store and very affordable. Perfect tool for The Calf Stretch and many others. The half foam roller is firm but yields to some pressure, it is warm to the touch with the faint nobbly texture giving that bit of grip to bare feet. Turn it over and you have a balance challenge, as it is strong enough to stand on. Care is required so as not to get the surface dented by sharp objects or edges. The half foam roller is a great floor sitting aid too, to find and maintain neutral pelvis. Excellent product. I have had this roller for only 3 days so I have initial impressions only. It is good and firm with a "grippy" surface. Working well at present but as I bought it to last longer than the previous roller it is only time that will tell if it was worth the extra. The 30cm length could do with being a little longer, even 35 or 40 would be better. Great roller, although I have been shown how to use it, an instruction sheet would be useful. 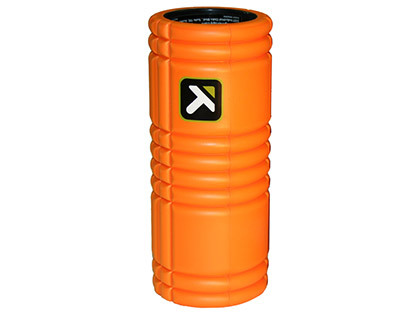 Quality foam roller, with enough give without being too much ! Brilliant, just what I was after. Excellent roller as it is nice and firm. A must for maintenance of muscles between massages. Brilliant product, sturdy and great value! Speedy delivery and excellent communication. As expected, a cylinder of tough foam, very firm for bodywork. Arrived in v good condition from Physique, packaged well, no damage to foam. Would advise taking instruction for use, as use requires a good level of mobility to gain max benefit from roller. Allows a deep level of massage to soft tissue, care here. Good product in skilled hands. Perfect amount of resistance for a beginner. Shorter length = easy to store. 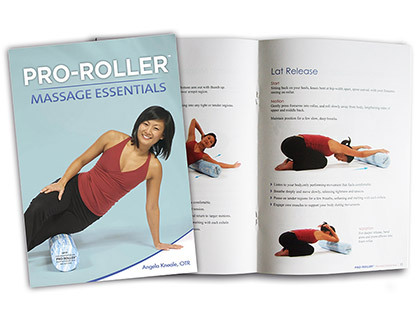 I will certainly consider purchasing the longer length once I am no longer a beginner and using the roller primarily for massage, and want to use it as a piece of exercise equipment. Already proving a hit with my participants. Does what it should. Will soon have my itb sorted! Excellent product, representing good value for money. Great for those thoracic kyphosis that just don't move well and need some extra home extension exercise. Placing it longitidudinally inter-scapular with knees bent up and feet on the floor, while gently oscillation from side to side core stabilises and massages the paraspinals. A versatile tool which also doubles as a very large light saber! The Physique foam roller is an excellent bit of kit for pre-session activation. 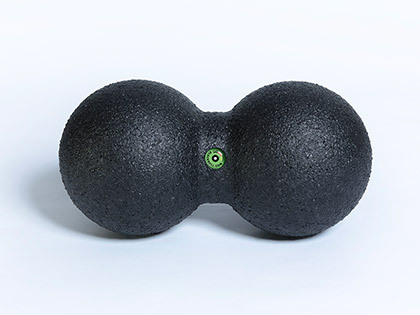 I have used it for lumbar myofascial release and it works wonders when used in conjunction with some mobility exercises. Everyone should have one! Foam Rollers are often used in Pilates classes - my reason for using it is to help with low back pain. Not the most comfortable item to lay on but gives the spine support, whilst if moving arms and legs slowly off the ground makes the core muscles work in order to keep balance, eg the stronger core muscles become, the more the spine is supported. I have found this Roller to be very good value for money. For knee related problems it is very effective and used regularly makes a noticeable difference. Bought one of these whilst doing a personal training course, must say its a great product and really does the job!